Flooding our Twitter timelines and in the mouths of every liberal we know–while also keeping conservatives silent. 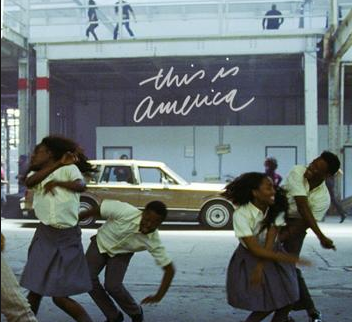 The inarguable, most influential music video that has come out, This Is America by Childish Gambino (Donald Glover), sums up the civil rights movement we are living in. Lets start with the most important scenes and what they mean. 1. 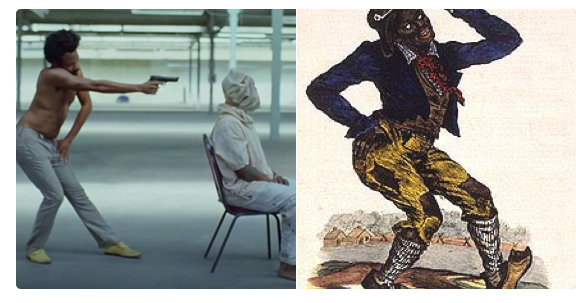 Glover is shown at the beginning to stand mimicking an 1800s cartoon while shooting a black man with a bag over his head. This satirical reference to an old cartoon is set to show that the “goofy” image of black men is still relevant. Right after this disturbing scene occurs, Glover hands the gun to a young black man holding a red cloth. The gun is treated with more respect than the human life, who is dragged away after being shot. The man being shot doesn’t even get the dignity of seeing his perpetrator or having his face shown–a direct shot at police brutality. 2. The African dancing purposefully distracts you from the background. 3. The biblical references basically call police the Devil. In the book of Revelations 6:8, the apocalypse predicting book, it’s written that,”I looked and there before me was a pale horse! Its rider was named Death, and Hades was following close behind him.” The dark rider on the pale horse is followed closely behind by a police car that stops driving. This might also be a reference to the fact that police could stop being evil if they wanted to, but they continue to be a manifestation of the worst in the world. 4. Using a semiautomatic weapon, Glover guns down an entire gospel choir–a direct shot at Dylann Roof and the Charleston church shooting. The Charleston church shooting in June of 2015 killed 9 church members and injured one. Count the number of gospel singers and tell me that’s not a coincidence. A change in guns from his original shooting of the man with a bag over his head is key to the story. This time, Glover uses a semiautomatic weapon to show how easy it must’ve been to gun down this church choir–and how wrong that is. Directly after, Glover hands the weapon to the same black school boy, who holds the gun in velvet with care–showing how importantly we hold guns over human lives. 5. 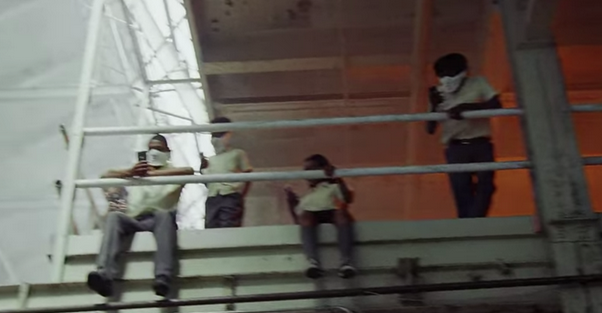 Teenagers with masks film the rioting live from a perch. There are two very popular theories regarding this scene. The original theory is that teenagers sitting on the perch get to sit safe and masked behind their phone screens. The next theory is that because the teenagers are black, they are forced to sit on this perch and watch riots ensue from behind their phone screens–rendered helpless. 6. Glover lights a joint and stands on empty cars with their hazards on and doors open, symbolizing the traffic stop killings by police. 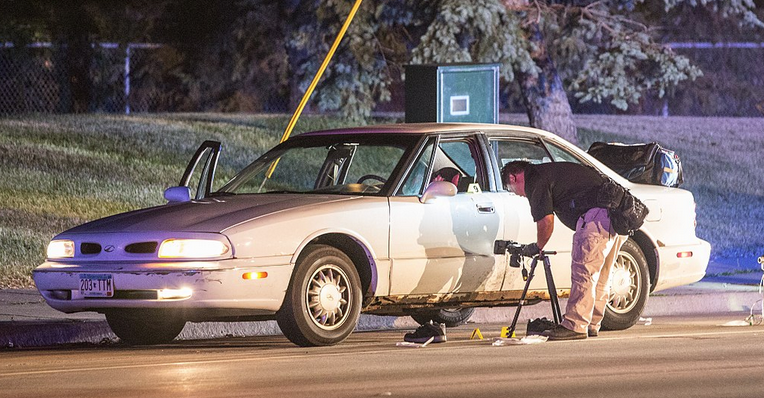 The old cars and hatchbacks, without passengers or drivers, represent all the black men incarcerated or killed by police at traffic stops. Most influentially, this represents the Philando Castile shooting in 2016. 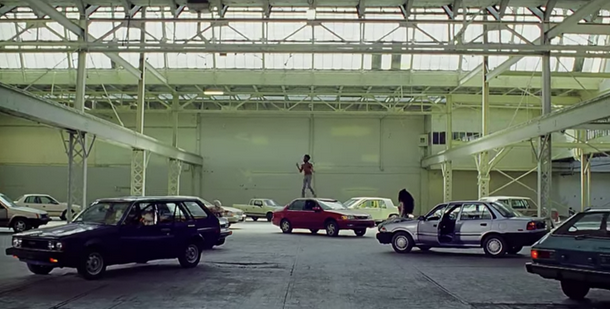 The car SZA sits on resembles Castile’s car perfectly, and SZA represents Castile’s girlfriend who filmed the entire police exchange and shooting. 5. 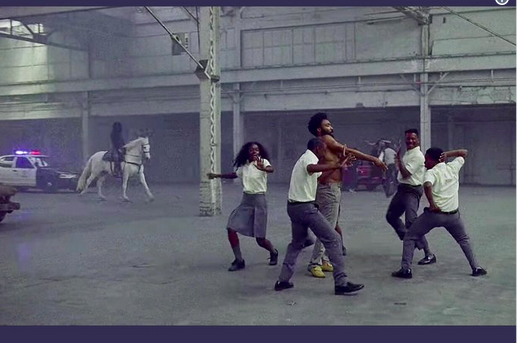 The end-most scene shows Glover running in fear from white people. It doesn’t get more blatant than this. 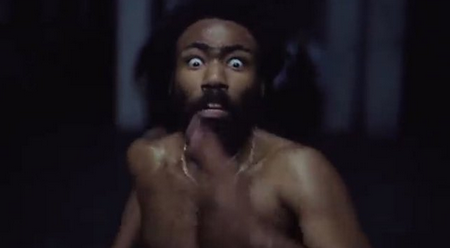 If you understood nothing else in this video, the white people chasing Glover in the darkness show how ferociously white culture and racial bias chase black men throughout their daily lives. This scene attributes all the black men on the run, incarcerated or in fear of being killed for simply being black. Besides smoking a joint, no obvious crime has been committed–and that’s the point. The harmless marijuana smoking a single scene prior leads into this chase scene. The joint, running and faceless white people shown to be wearing bulletproof vests are all a testament to the black experience. 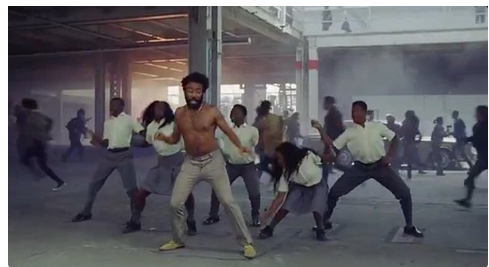 The LeBron James of entertainment–Donald Glover–has once again blown our minds and created an open forum of conversation about a political and social dilemma. If you haven’t yet seen the video, give it a watch and form your own opinions. After all, the video was created to cultivate conversation and change.